While some titles do manage to load directly from the game’s disc, an increasingly large amount of PS3 games require an install. Coming out in September, Resistance 3 will need an install in order to play, with the HDD space used far outstripping the space demanded by Resistance 2. 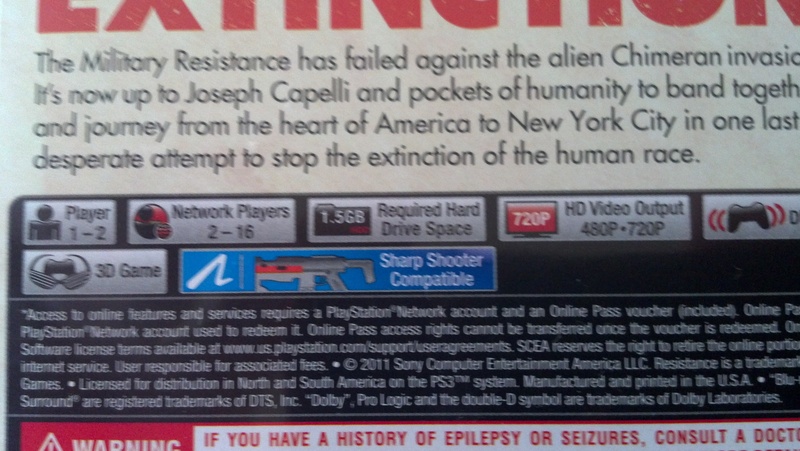 Resistance 2 only needed 350MB of the PS3’s HDD, but Resistance 3 will take up 1.5GB. Luckily, the 5-7 minute install won’t be entirely boring as a motion comic that shows the timeline of the Chimera invasion plays for the first few minutes. If you’ve upgraded your HDD, Resistance‘s install won’t be much of a problem, but if you have yet to change out your 20/40/60GB we’d definitely recommend picking up a new drive as soon as you can as more and more games will use up your drive space. How big is your PS3’s hard drive? Let us know in the comments below.